Viviane Alfandary, MD, is a hospitalist with John Muir Medical Group in Walnut Creek, Calif., the fourth hospitalist program she has worked with since 1994. A Berkeley native and a former program director at John Muir, Dr. Alfandary came to hospital medicine after serving in several free clinics in the Bay Area. Alpesh Amin, MD, MBA, is professor and founder and executive director of University of California, Irvine’s hospitalist program. He also serves as the interim chair of the department of medicine and has served as vice chair for clinical affairs and quality assurance. Vineet Arora MD, MPP, is an assistant dean for curricular innovation at the Pritzker School of Medicine and an associate program director for the internal medicine residency program at the University of Chicago. An academic hospitalist, Dr. Arora’s academic work has focused on resident duty hours, handoffs, professionalism and quality of hospital care. Kimberly Bell, MD, is associate vice president of the FHS Inpatient Team at Franciscan Health System in Tacoma, Wash. Dr. Bell previously served as regional medical director of EmCare Inpatient Services in Auburn, Wash., and as director of the hospitalist program at Centennial Medical Center in Nashville, Tenn., an HCA hospital. Dr. Bell has also been associate medical director for the adult hospitalist team at Swedish Medical Center in Seattle and is a former chair of the women in hospital medicine task force for the Society of Hospital Medicine. Robert Bessler, MD, is president and CEO of Sound Physicians, a nationwide leading hospitalist practice. 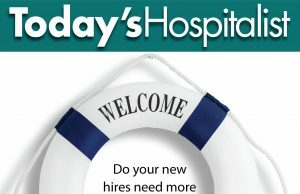 Sound Physicians has developed and operates a unique hospitalist model focused on manageable encounters, investment in technology and clinical tools, ongoing training, professional advancement, and a partnership track. Martin B. Buser, MPH, is a co-founding partner of Hospitalist Management Resources LLC, a hospitalist consulting firm based in San Diego and Colorado Springs, Colo. The group helps hospitals and medical groups develop hospitalist and intensivist programs, emergency department call panels, and other strategic objectives. Albert Caccavale, DO, founded Northern Arizona Hospitalists in Prescott, Ariz., in 2003 and continues as its director. The private local hospitalist group serves Yavapai Regional Medical Center, a two-hospital community system. Dr. Caccavale, who is double boarded in internal medicine and critical care, directs Yavapai Regional’s cardiac rehabilitation program. Dean Dalili, MD, is senior vice president and group medical officer for Schumacher Clinical Partners. A former health care policy fellow in the U.S. Senate, Dr. Dalili is based in Houston. Erik DeLue, MD, MBA, is program director of inpatient care services for Virtua, a large New Jersey health system, and medical director at Virtua Voorhees Hospital. Previously, Dr. DeLue was medical director of the hospitalist program at Virtua Memorial in Mt. Holly, N.J., the third community hospital program that Dr. DeLue had worked for in 10 years. William T. Ford Jr., MD, is director of the hospitalist program at Abington Health in suburban Philadelphia, overseeing hospitalists at both Abington Memorial Hospital and Lansdale Hospital. He was previously section chief at Temple University Health System in Philadelphia, leading a team of physicians covering three hospitals and four surgical comanagement services. A hospitalist since 2003, Dr. Ford is also a certified physician executive and has held several teaching positions. David Frenz, MD, runs a small private practice and health care consulting firm in Minneapolis. He was previously vice president and executive medical director for North Memorial Health in Robbinsdale, Minn., and a hospitalist for the HealthEast Care System in St. Paul where he was also medical director of addiction medicine. He is a contributing editor of Today’s Hospitalist and writes regular “By the Numbers” features. Martin C. Johns, MD, practices at Gifford Medical Center, a 25-bed critical access hospital in Randolph, Vt., and is associate medical director of hospitalist and emergency services. Double boarded in internal medicine and pediatrics, he began the now successful rural hospitalist program. O’Neil J. Pyke, MD, is chief medical officer of Medicus Consulting LLC, a consulting firm associated with Medicus Healthcare Solutions LLC, the staffing company based in Salem, N.H. In his capacity as a consultant, Dr. Pyke has helped establish or improve hospitalist programs, with a special emphasis on innovative staffing and scheduling strategies and mentoring physician leaders. Ruben J. Nazario, MD, is medical director of clinical analytics at the Bowie, Md.-based Inovalon, a company that combines health care data analytics with targeted interventions to improve outcomes. A pediatric hospitalist, Dr. Nazario previously worked at Inova Fairfax Hospital for Children in Falls Church, Va., and he is a published author. Cheryl W. O’Malley, MD, is a hospitalist at Banner Good Samaritan Medical Center in Phoenix, Ariz., where she is the internal medicine residency program director. Trained in med/peds, Dr. O’Malley focuses primarily on inpatient adult medicine and has led Banner Good Samaritan’s glycemic control efforts. Vikas I. Parekh, MD, is associate director of the hospitalist program and associate program director of the internal medicine residency program for the University of Michigan Health System in Ann Arbor. Dr. Parekh is active in education and hospital medicine research, and he designed and implemented the new non-housestaff service in response to ACGME resident work-hour rules. Eric Rice, MD, MMM, is now assistant director of hospitalist services for the five-hospital Alegent Health System in Omaha, Neb. Dr. Rice previously worked as a hospitalist and former program director at Methodist Hospital in Omaha and served as a physician in the U.S. Army. Sandeep Sachdeva, MD, MBBS, practices at Seattle’s Swedish Medical Center and is assistant professor in medicine at the University of Washington. A former nocturnist, Dr. Sachdeva now divides his practice between hospital medicine and palliative care. Bradley A. Sharpe, MD, is a hospitalist and associate clinical professor of medicine at University of California, San Francisco. He is also the associate program director for inpatient affairs for UCSF’s internal medicine residency program, associate division chief of hospital medicine and associate editor of the Web-based version of AHRQ’s Morbidity & Mortality Rounds. Amit Vashist, MD, MBA, is system chair of the hospitalist division for Ballad Health, which is based in Johnson City, Tenn.
David J. Yu, MD, MBA, is executive medical director of hospital medicine at Barnes Jewish Christian Medical Group in St. Louis. Dr. Yu was previously the medical director of Presbyterian Medical Group’s Adult Inpatient Medicine Service at Presbyterian Hospital in Albuquerque, N.M., one of the country’s largest single-site hospitalist programs. Dr. Yu has extensive expertise in patient flow, Lean Six Sigma and unit-based care with multidisciplinary rounding.